Chances are what caught your eye here was the group of hot models in tight t-shirts. Granted, these women are beautiful, but there is actually a great reason (besides looking good) that they are wearing these t-shirts. These shirts are part of Michael Kors’ Watch Hunger Stop campaign—an initiative to raise money and fight global hunger—for good. In an effort to honor World Food Day, which takes place on October 16th, Michael Kors has partnered with the United Nations World Food Programme (WFP), to help raise and donate money to WFP’s School Meals Program. Throughout the month of October, MK customers can create a digital t-shirt (like the hot models did above) at watchhungerstop.com or in select stores (from Oct 1 through Oct 18), displaying their own message that begins with “Today I Want To.” Michael Kors will donate 50 meals to children in need for every digital t-shirt uploaded to the gallery on watchhungerstop.com. In addition to the t-shirts, customers can donate to WFP at select stores throughout the month of October. Donating just $5 will feed children for an entire month, so spread the word by adding the hastag #watchhungerstop and share this with your friends—it could make all the difference. You also may have heard about (or seen) the Watch Hunger Stop limited edition watch collection. 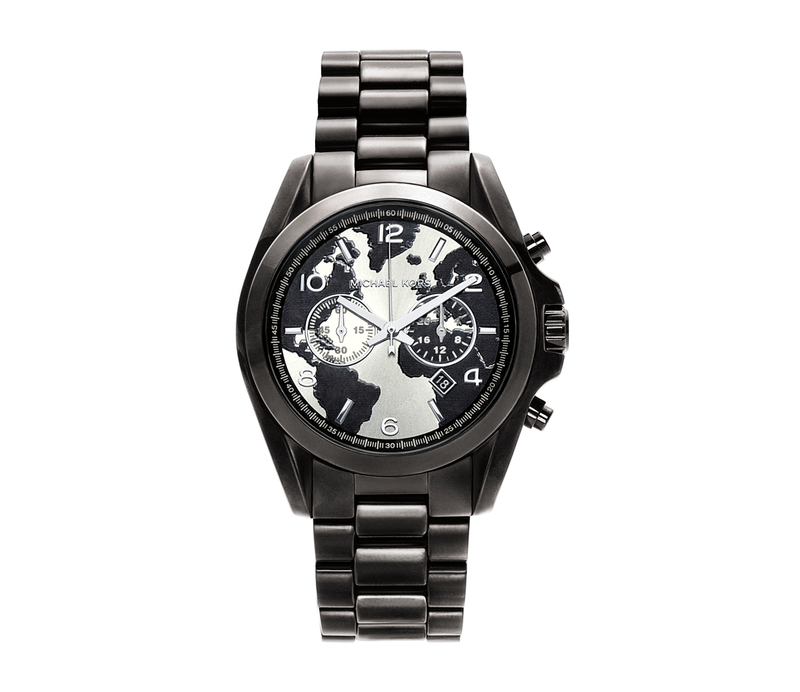 This year, Michael Kors released the newest model (see below), the Bradshaw 100 for $295. Purchasing one of these will feed 100 hungry children in need.